Rules? What rules? 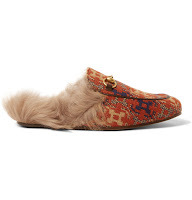 Gucci certainly doesn't live by rules. 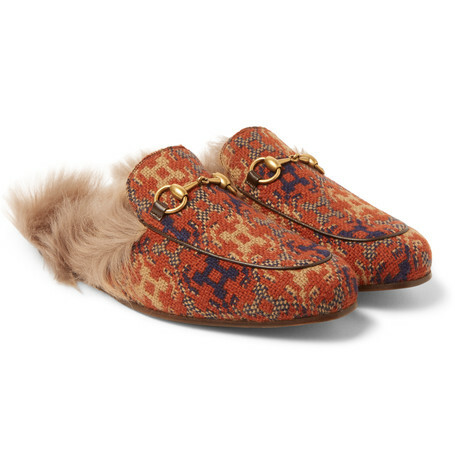 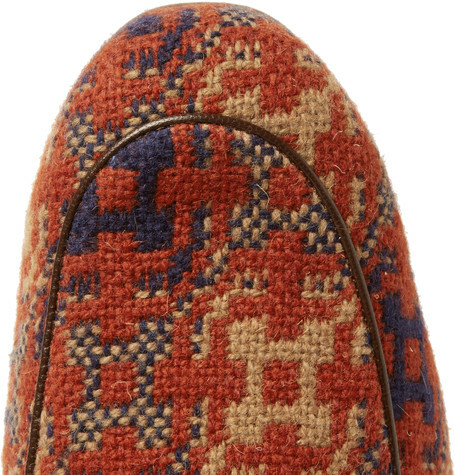 Such is the case with these Princetown Shearling-Lined Jacquard Loafers. 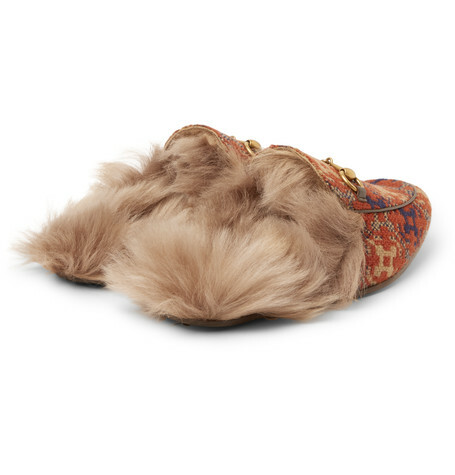 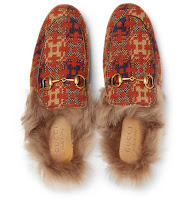 They're basically cut like mules but lined in plush tan shearling for the fall/winter months for that dash of cozy. 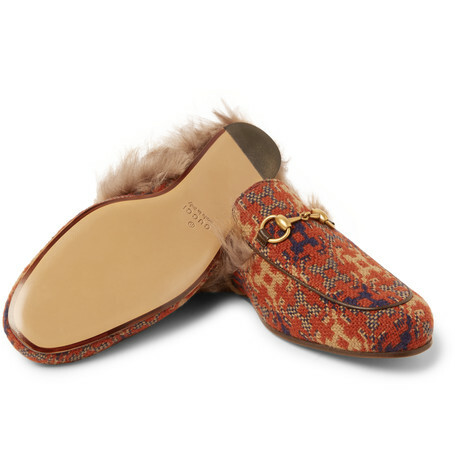 The dapper comes through the handsome fall-colored jacquard upper complete with gold iconic horse-bit that only shows how even a modern dandy deserves a bit of comfort. Available now at Mr. Porter.com.